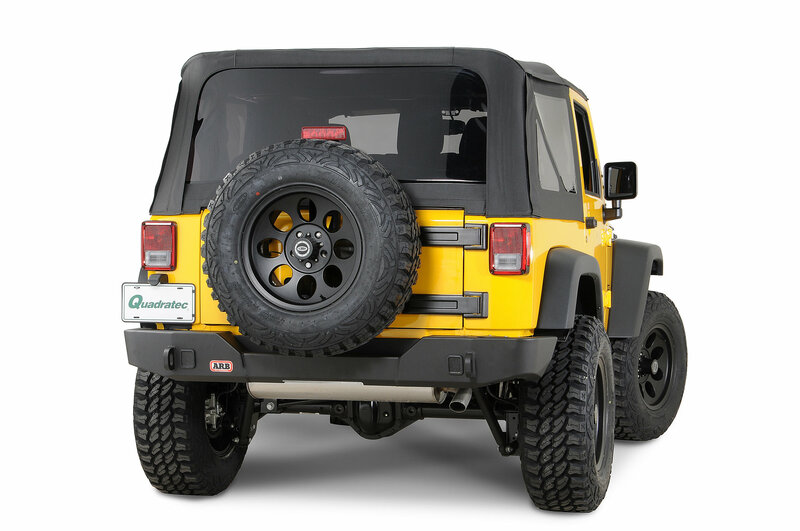 The ARB rear Jeep Wrangler JK bumper delivers an enormous amount of protection for the back of a vehicle and has been designed for maximum functionality with a recessed bumper section, dual Hi-Lift jacking points and a heavy duty towing system. 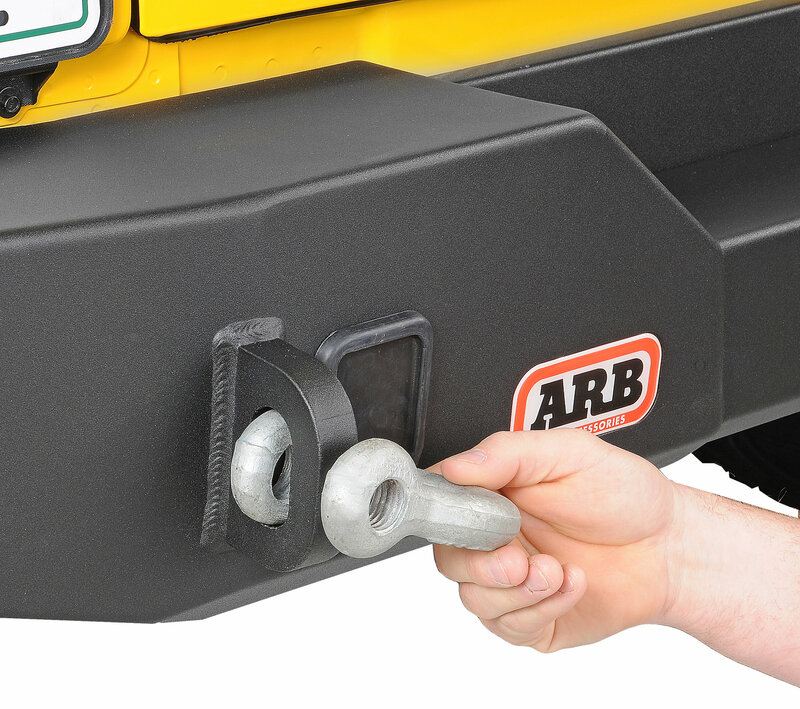 Incorporates a tire recess in bumper to allow fitment of most 37" tires without the optional tire carrier and up to a 40" tire with the carrier. Durable steel protection for maximum vehicle protection. 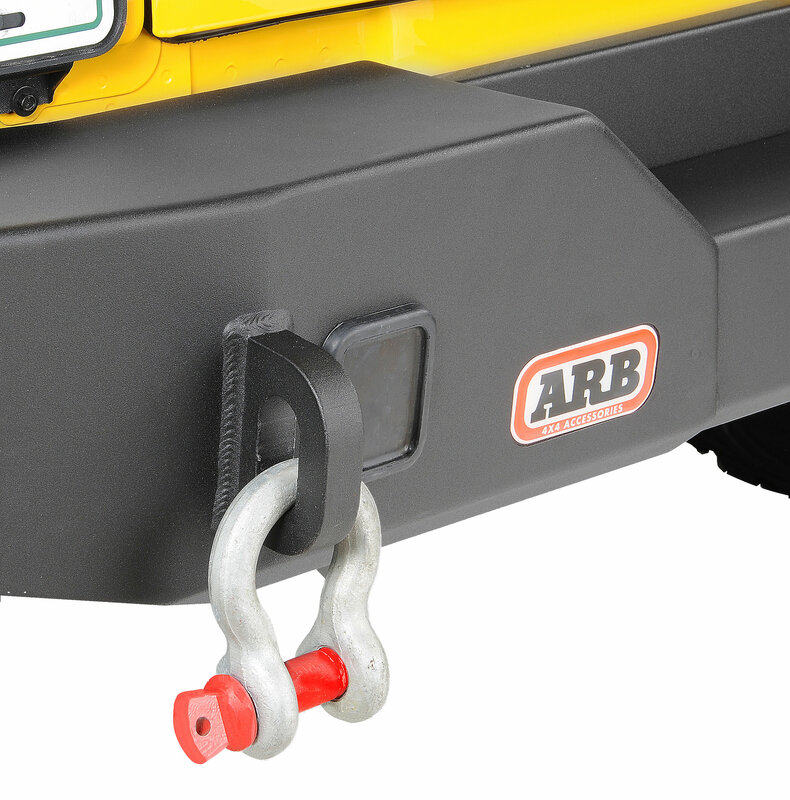 Can be used with or without the optional ARB spare tire carrier. Zinc primed followed by ARB's patent pending Integrit textured or rich satin black powder coat finish. mounting bracket uprights for extra reinforcement. reinforcing plate to prevent slippage. When not in use, lifting points are fitted with a rubber plug. Twenty Four (24) Months Limited warranty. Excellent quality! Fit and install went perfect, I love the quality of this bumper and it feel super strong. Great bumper! Very well made. Best packaging I've ever seen. Some drilling is recommended for instillation on passenger side. Isn't required I guess. I didn't drill into my frame just in case I jeep got wind and tried to void my 100k bumper to bumper warranty. Still has two strong bolts holding it mounted.